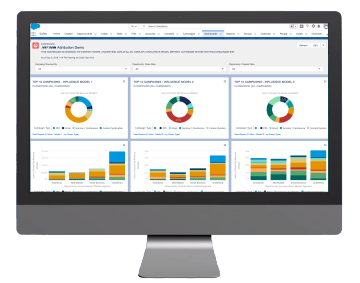 Get a complete picture of how your marketing impacts revenue right within your Salesforce instance. 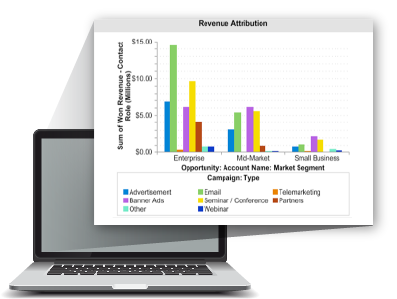 Available as a standalone solution or part of Response Management, our Campaign Attribution application gives you out-of-the-box and customizable tools that transform how you track and measure campaign performance. See exactly which campaigns contributed to deals with sophisticated pipeline analysis capabilities. 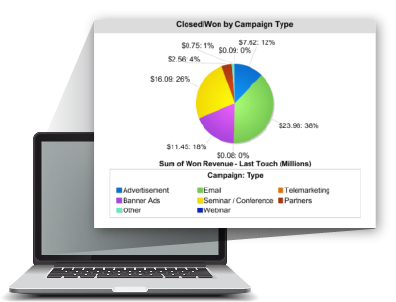 Use the insights you gain from our detailed reports to make targeted marketing decisions and improve campaign mix allocations. Start optimizing your marketing mix on day one with out-of-the-box single-touch and multi-touch attribution models. 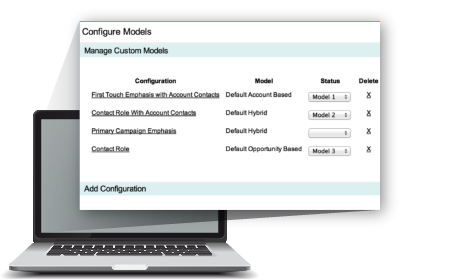 Our tool also enables you to customize your own attribution models based on your sales cycle and goals. Get as granular as you need to within any dimension you track inside Salesforce. Use our powerful attribution reports and dashboards to look at the key performance metrics that help you make informed, targeted marketing decisions. 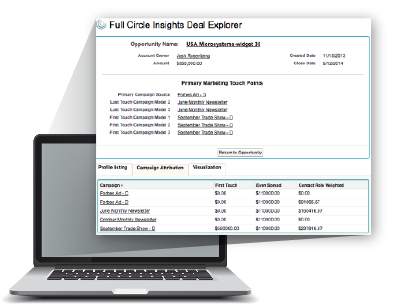 Included with Full Circle Campaign Attribution, our Deal Explorer solution displays cumulative Lead and Contact interactions on every Opportunity. 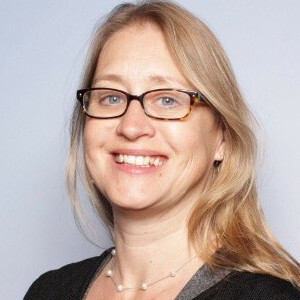 You can drill down into individual Opportunities to view critical campaign influence metrics, across three side-by-side attribution models, and visualize event history relative to Opportunity stages. 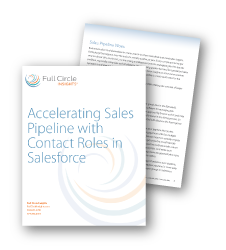 As a native Salesforce application, Full Circle Campaign Attribution is easy to administer and implement, so you can start improving the way you track and measure campaign performance and drive more revenue.